Today, Blizzard Entertainment outlined the content in the next major patch coming to World of Warcraft. Fans have known about Patch 8.2, entitled Rise of Azshara, for some time now, but this was the first in-depth look at what's coming within the patch. World of Warcraft: Battle for Azeroth senior game designer Jeremy Feasel took players through what's next. Those on the cutting edge of World of Warcraft have likely finished the Battle of Dazar'alor raid, introduced in Patch 8.1 back in January. By its end, King Rastakhan is dead, with his daughter Talanji assuming the role of leadership and bringing the Zandarlari Trolls fully into the Horde. Meanwhile, Gnome leader High Tinker Mekkatorque is on life support, and players have glimpsed another facet of Old God corruption under the Crucible of Storms. Rise of Azshara picks up most of these story elements. Horde leader Slyvanas Windrunner sends her trusted lieutenants Nathanos Blightcaller and Lor'themar Theron out to the sea in search of some artifact. The Alliance follows, only for Queen Azshara to open up the sea, sending both fleets and our heroes tumbling to the bottom of the ocean. There they'll explore the region of Nazjatar, home of the naga. 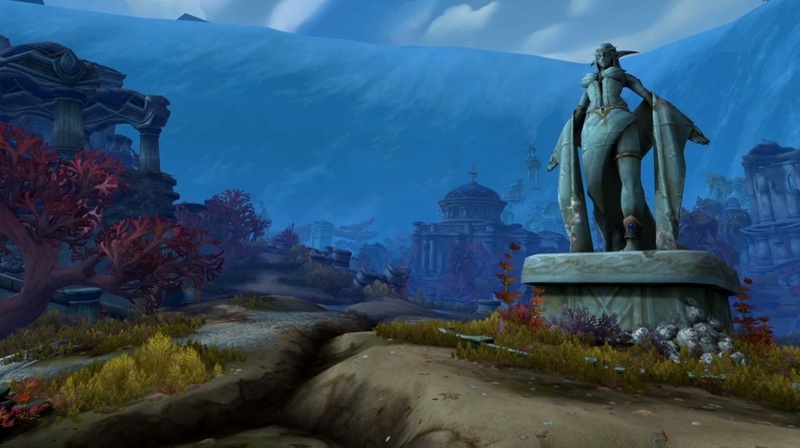 Nazjatar is the first major questing zone of Rise of Azshara. 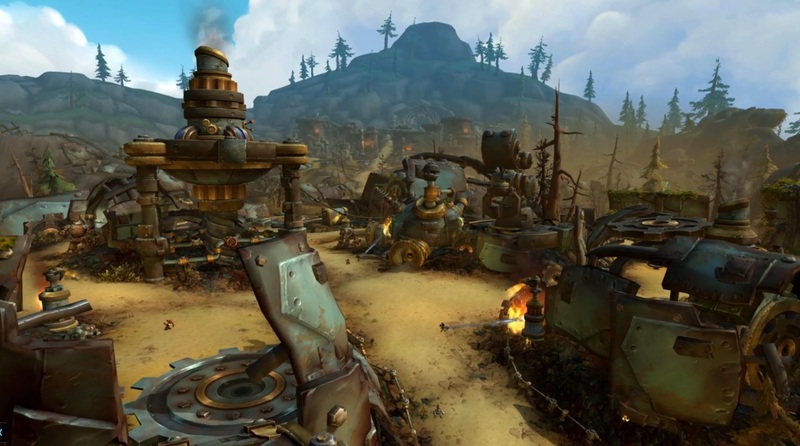 The Horde and Alliance will meet and help different factions within the region. The Horde will join forces with the Unshackled, a group of former Gilbin, Makura, and Sea Giant slaves seeking freedom from their naga overlords. The Alliance will join up with a group of watery warriors called the Ankuran. After meeting each group, players will be able to access a new Combat Allies systems for questing in the zone. The system lets you choose between one of three allies to take with you, not unlike Followers in Warlords of Draenor or Champions in Legion. Each ally has a max level of 30, and making them stronger not only progresses the story, it also unlocks new abilities and cosmetic rewards. There will be an Emissary for daily and world quests in Nazjatar, but Blizzard is changing up how the system works overall. Daily and world quests are themed for Nazjatar, with spawned enemies and world bosses taking over specific regions. Your primary focus is to help your local allies building a base within the region, so you can gain control of the Javelins of Suramar. 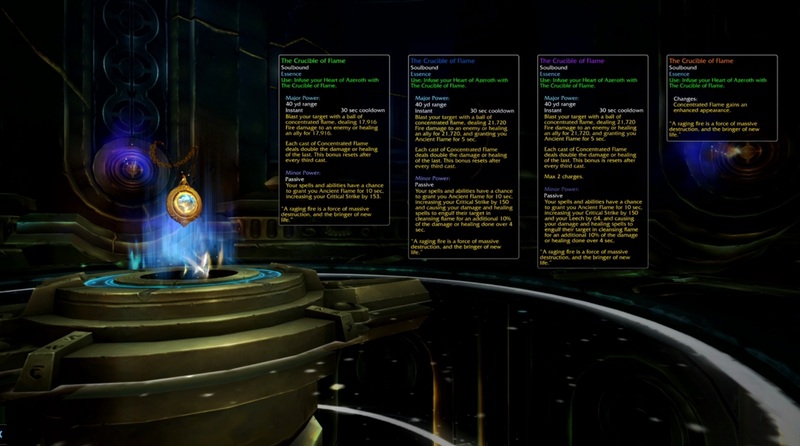 These artifacts will allow players to break into Azshara's Eternal Palace, which is the patch's raid content. 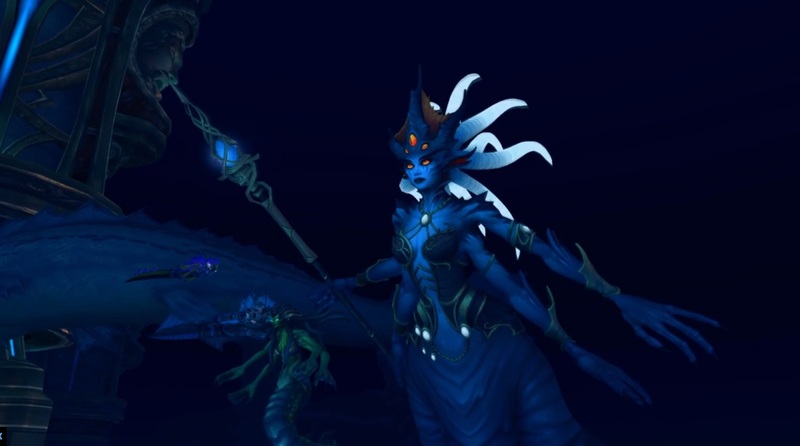 Azshara's Eternal Palace will offer eight bosses in total, culminating in a final confrontation with Queen Azshara herself. Feasel also promised one fully-underwater boss, so be prepared for that. 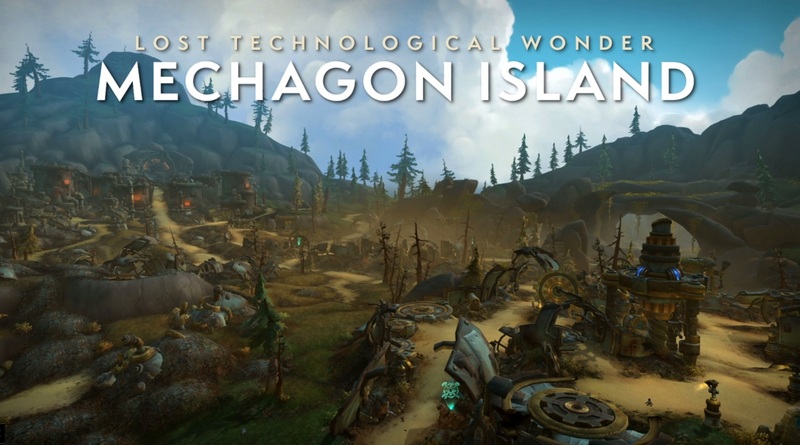 The second zone in the patch will be Mechagon Island, a lost home for the gnomes. King Mechagon has lost his mind, converting the local gnomes over to mechanical bodies and building a doomsday device. Players will land in the small town of Rustbolt, full of gnomes who oppose the King, and seek to help them rebuild their town. Quests will send you around the island to gather resources and rebuild structures. Feasel points to a Visitor system, with three visitors coming to Rustbolt each day. Players can help these visitors with their unique daily quests for new rewards; the point is to provide a bit of flavor and variety to daily quests on Mechagon. Eventually, players can tackle Operation: Mechagon, which is a "mega-dungeon" that will see you taking on King Mechagon himself. There are unique gnome-themed items you'll find on the island and in the dungeon, like the Pocket-Sized Computational Device, a trinket with sockets. You can put Punch Cards in these sockets, which offer different bonuses. You'll also build a Mechano-cat mount and Pascal the Robot (no, not the Pascal from Nier: Automata), so be prepared to hunt for parts! The Heart of Azeroth is getting a total revamp in the patch. Players will build a new Chamber of the Heart and use the Heart Forge to add Essences to the Heart of Azeroth necklace. The unlock system plays out in a constellation grid with one Major slot and two Minor ones. 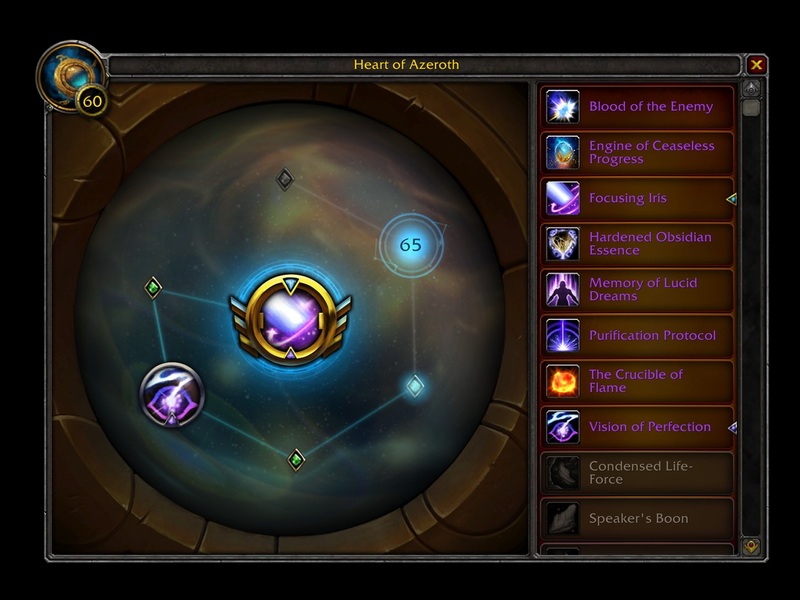 You'll collect Essences by doing a variety of tasks in-game, each with their own Major and Minor abilities. Equipping an Essence in a major slot gives you a powerful active ability and the passive minor ability, while equipping it in a minor slot just gives you the passive. Blizzard wants players to mix-and-match Essences around to fit their playstyle. Legendary versions of the Essences can be found, and their Major abilities have unique visual styles, so you can show off what you've collected. Wrapping up the rest of the patch, Gnomes will be able to unlock their heritage armor. Tauren will eventually be able to do so as well, but only after completing more of the story-based war campaign: Slyvanas has Tauren leader Baine Bloodhoof captive, and he must be freed first. The second part of the Pathfinder achievement will be made available too, and once complete players will unlock flying in all Battle for Azeroth zones and gain a cool Mechanical Parrot mount. One really cool addition is the new Mount Equipment slot. This is an answer to the fact that certain mounts like the Water Strider are very useful due to their additional abilities, like water-walking. 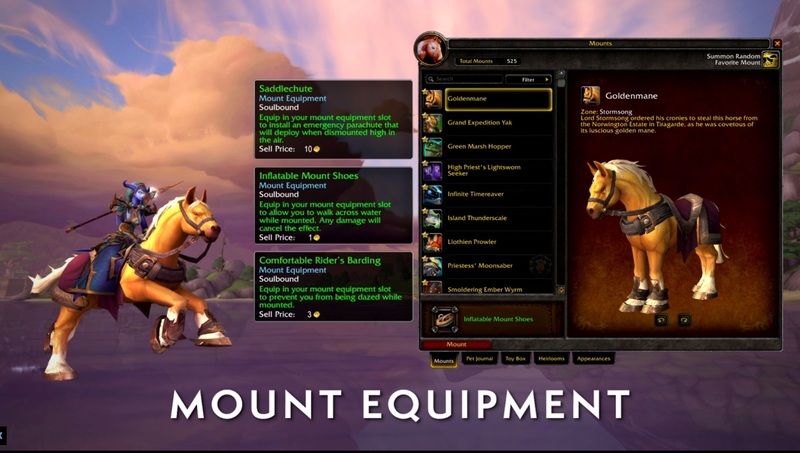 With it, players can equip new items in their new Mount Equipment slot, which offers unique powers. Take the Inflatable Mount Shoes, for instance, which gives water-walking to any mount, letting you ditch the Water Strider once and for all. Or the Comfortable Rider's Barding, which stops enemies from dazing you while mounted. It's a fantastic change for WoW that I'm surprised Blizzard didn't address sooner. There's new content for other modes of play as well. Blizzard is adding the first Heroic Warfront to the expansion, the Battle for Stromgarde. It'll offer new attack units types and focused attack waves that will strike you where you're the weakest. You can also expect to see enemy commanders take the battlefield to punish your forces. 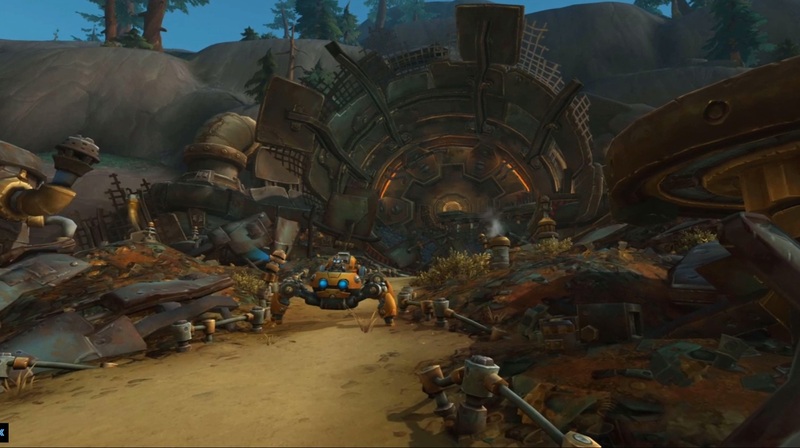 Arena players will get the new Gnome-themed Robodrome Arena, and Ashran returns as the next Epic Battleground. Island Expeditions get two new map types: Crestfall, an island location from Warcraft 2, and Snowblossom Village on Pandaria. 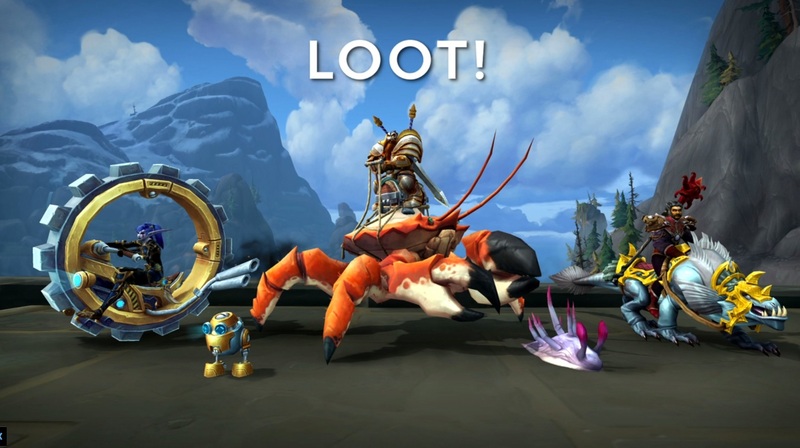 Finally, Feasel showed off some of the loot you'll find in the patch, including a righteous Big Wheel mount, the previously-shown side-walking Crab mount, a Snapdragon mount, the Tidal Guardian pet for Hunters, and a new customizable robot pet. It's a very big patch that players have been waiting on since January's patch. 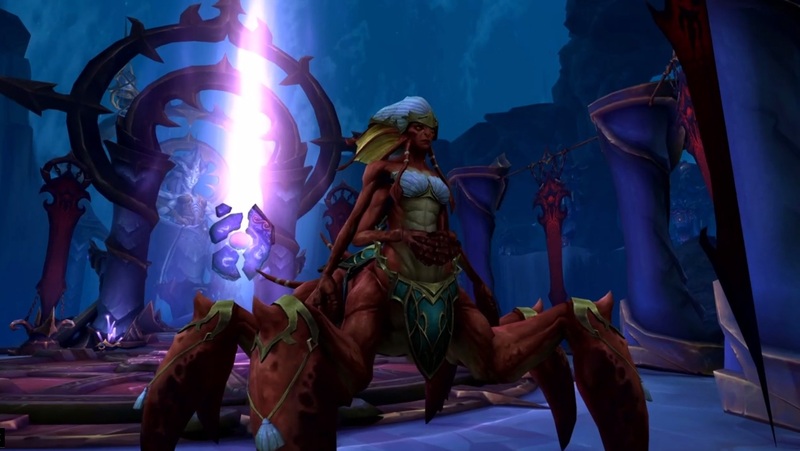 And you'll get to play it soon, as Feasel announced that Rise of Azshara is coming to the Public Test Realms next week. Blizzard held back on putting the patch on the PTR earlier because it wanted feedback on all the new features at once. Feasel even made a joke about Blizzard looking forward to the "datamining explosion," with miners pouring over every model and voice item for secrets and spoilers. There were a number of interesting changes and additions coming to WoW outlined here, a game that's been flagging as of late. There's no final release date for Rise of Azshara, but it should be shortly after the PTR release. Maybe this will be the patch that turns the game's fortunes around. Tagged with Activision Blizzard,	Blizzard Entertainment,	Macs,	MMOs,	Opinions,	PC.